However, Social Security Disability benefits are notoriously difficult to obtain, and one-half to two-thirds of all first applications are typically denied. The legal team at Katz Wright Fleming Dodson & Mildenhall LLC consists of experienced Social Security Disability lawyers who understand what it takes to obtain necessary government benefits. 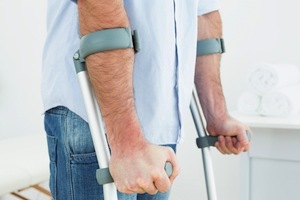 In order to qualify for social security disability payments (a.k.a. SSDI), you must demonstrate that you are unable to perform substantial gainful activity as a result of a severe impairment which is expected to last for at least 12 months or end in death. This includes being unable to do the work you did before as well as work at another job. The Social Security Administration (SSA) interprets this definition very strictly. Basically, the government would rather have you working than pay you not to work. Before applying for Social Security Disability benefits, it is wise to consult with an experienced Social Security Disability attorney who can help you determine if you qualify and assist you in preparing and submitting an accurate, complete, well-documented, and persuasive application. Please note that it is possible to receive benefits even if you have also applied for workers' compensation benefits or if you have filed a personal injury lawsuit. At Katz Wright Fleming Dodson & Mildenhall LLC, we provide comprehensive representation that covers of all your different claims and ensures you receive the maximum compensation that you are entitled to. We prepare you to testify before the ODAR ALJ, and we work with your doctors to make sure we have all the information and documentation necessary to present a solid, persuasive case. Our Social Security Disability attorneys are here to get you your benefits as soon as possible so you can pay necessary living expenses and avoid the stress associated with a lack of regular paycheck. If you have been injured and cannot work, or if your application for Social Security Disability benefits has been denied, call attorney our disability lawyers today at (404) 460-0101 for your free consultation. We represent clients across the state of Georgia, including those residing in Atlanta, Decatur, Roswell, and Marietta.